Her name is Neo Blythe Tsumori Spirit Dazzling Blythe Together At Last. 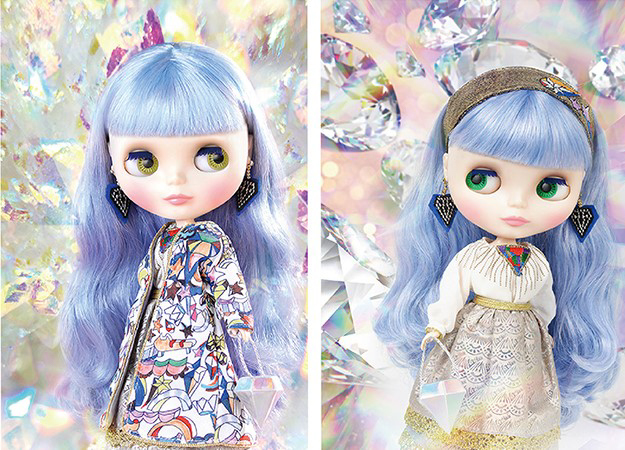 This girl is a collaboration between Neo Blythe and the fashion designer/brand TSUMORI CHISATO. You can expect to see this fashionista walking down the streets in April 2019. New clothes are always exciting, but this is on another level! It's probably because Tsumori matches so well with me. 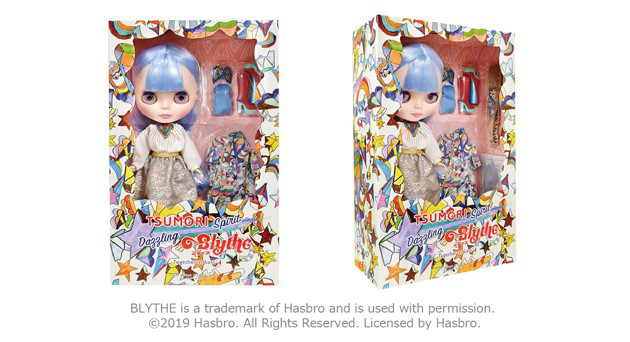 On Feb 7, 2019 Junie Moon Blog stated that 3 of their stores would host a lottery for this release. Currently there is no additional info on when pre-orders will begin. I will update this post when available. She is a lottery doll. This means you have to submit an entry for a chance to purchase her. 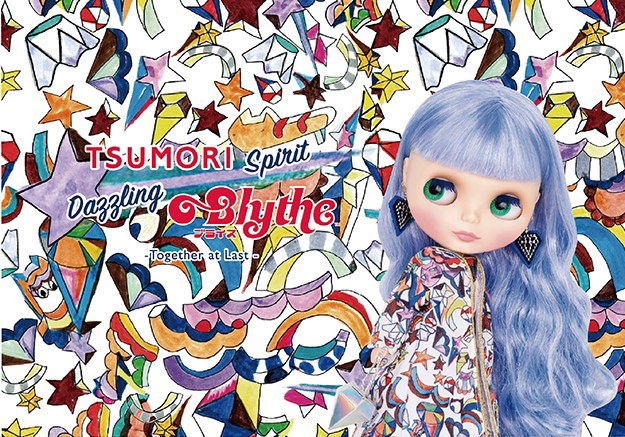 Neo Blythe Tsumori Spirit Dazzling Blythe Together at Last definitely catches your attention. 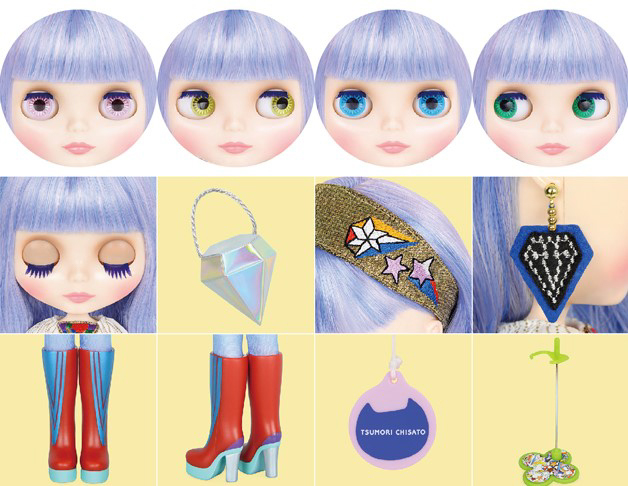 I'm not familiar with this brand but from what I've seen, this doll captures the essence of TSUMORI CHISATO. Bold, Eccentric, and Down Right Fun. Checkout the Pre-Spring 2019 Lookbook here. 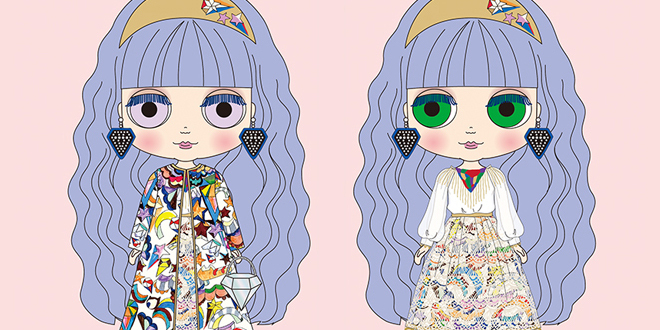 I'm so looking forward to seeing what the final doll will look like, I wonder if she will be as popular as Neo Blythe Adores Anna ANNA SUI X Blythe? 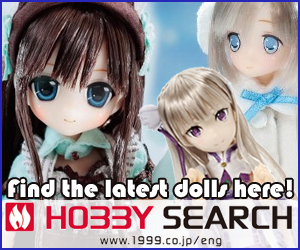 Are you familiar with this brand, if so do you think this doll is a great representation? Do you want to add this sparkly girl to your collection? Whoa you had 23 Blythes, that’s amazing! She is such a sparkly girl. She looks so cute! I wish we could order her online like other dolls. Oh well. A lottery does make it fun too. I can’t wait to see photographs of her outfit. It is a bit fun to see if you’re a lucky winner. 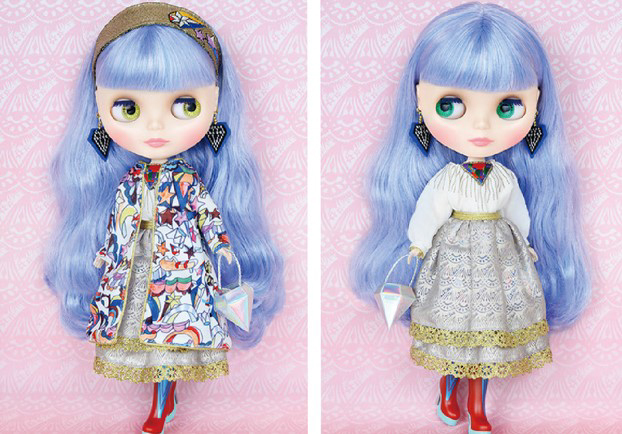 Blythe Tsumori has such a fun outfit, I bet collectors who get her, will spot new details they hadn’t noticed before. Thanks for taking the time to share your thoughts about this dazzling girl!